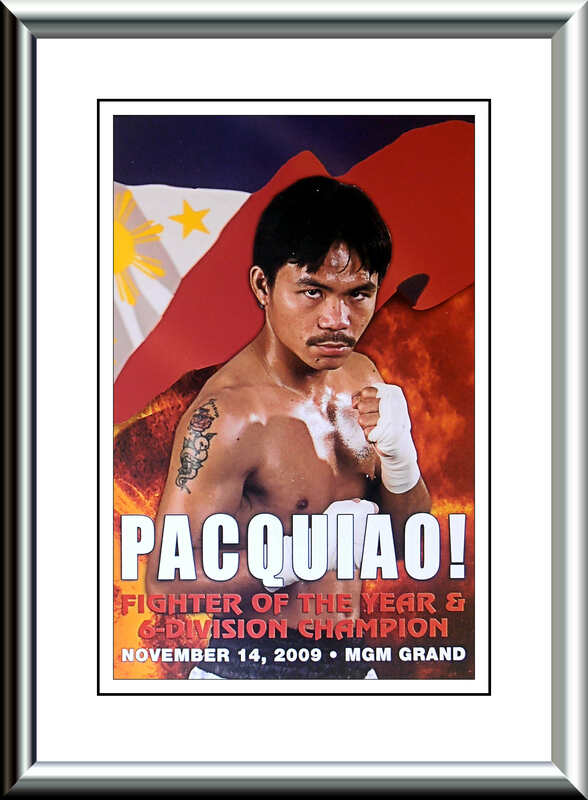 Description : Here we have an official MGM Grand fight night program 'Double-sided' cheercard (Pacquiao on reverse) for the showdown at the MGM Grand Las Vegas for the WBO Welterweight Title. 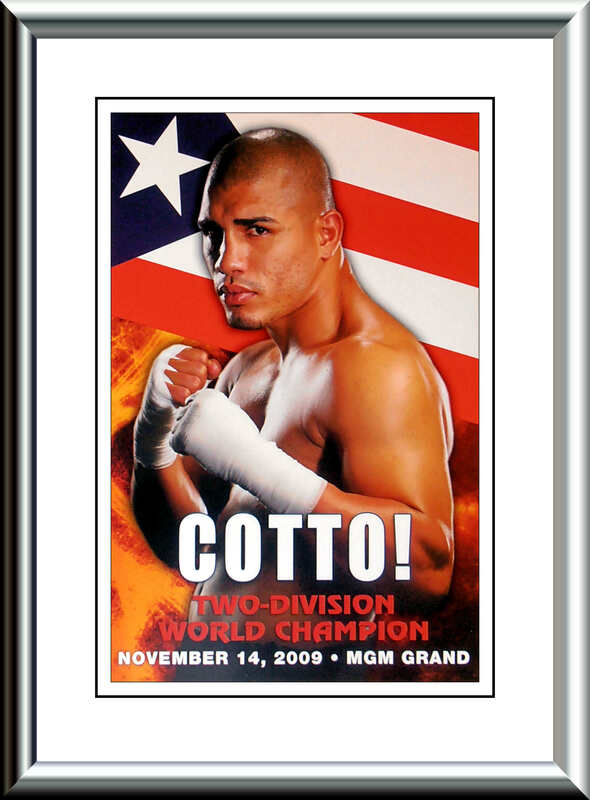 Another great fight that I was so fortunate to be in attendance at the MGM grand Garden Arena. 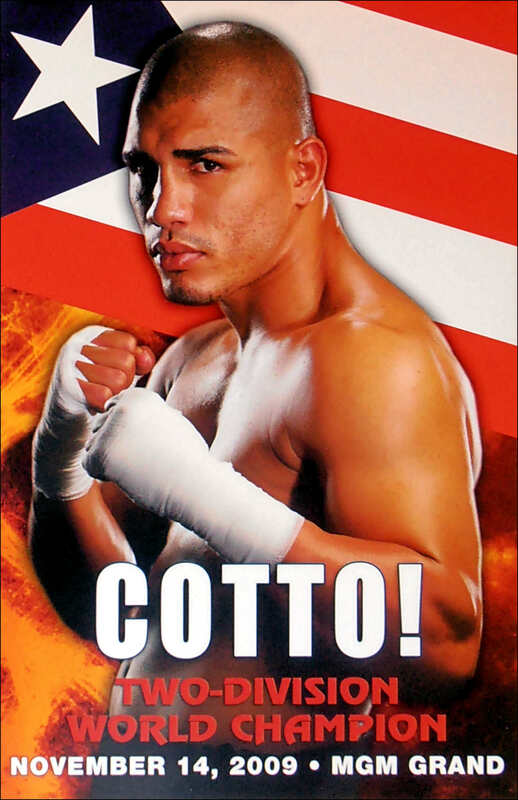 I myself thought that this was a step to far for Manny Pacquiao & I favored Miguel Cotto to win big-time!